Kia Motors says it will invest $1 billion in a new factory in Mexico to manufacture 300,000 small cars annually for North America and Latin America -- the first South Korean auto-assembly plant in Mexico. Kia expects to have the new factory in production the first half of 2016 -- a two-year timetable that's a blazing pace for setting up and starting an auto-assembly plant. Three years is more common in North America. That's how long Kia took from announcement to start of production at its West Point, Ga., factory. That's also how long Volkswagen spent from announcement to first vehicle off the line at its Chattanooga, Tenn., plant. "We hold competitive advantages, as a group, and production-facility establishment is one area we have expertise," Kia spokesman Michael Choo said. Kia is part of South Korea's Hyundai Group that includes Hyundai Motor and a steel-making unit. Choo said Kia also will set up a full-scale retail sales operation in Mexico at the same time: "We haven't had a presence there and we're getting into it full-force." "This plant will serve the purpose of satisfying demand pressure due to success of the brand in the U.S.," he said. It isn't expected to have any impact on production at West Point, he said" "That plant is running at full capacity and we expect it to continue to do so." The Mexico factory will manufacture "a range of compact vehicles" that will be identified later, Choo said. Initially, they will be sold only in North and South American markets, but the automaker will broaden exports if demand warrants, he said. Once up and running, the Kia Motors Mexico plant will give the car company the ability to produce 1.68 million vehicles a year outside Korea, about the same as its 1.69 million Korean capacity. Cars shipped from Mexico will take the place of models now sent to North America from South Korea, freeing the Korean-built units to be exported elsewhere. Kia noted that Mexico "imposes high tariffs on imported cars from Korea," so the Mexico factory allows it to escape the tariffs on cars made in the country. 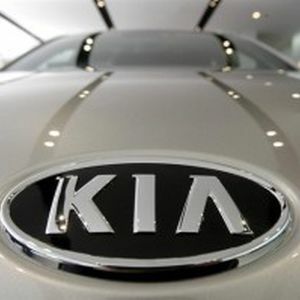 Kia also said, "Mexico is well-known for its skilled, low-cost labor force and numerous free trade agreements (such as NAFTA) with about 40 countries." NAFTA is the North American Free Trade Agreement that allows tariff-free passage of goods within the U.S., Canada and Mexico. Too, building vehicles in or near the countries where they will be sold cuts shipping costs, and minimizes currency exchange risks. If a company's costs for design, development and manufacturing its products are in the same currency as its revenue for selling those products -- say in U.S. dollars -- the gyrations of other currencies and the dollar itself don't matter as much. The Kia factory site is Pesqueria, near Monterrey, in the state of Nuevo Leon. It would be the first auto factory in that state, though car production is common elsewhere in Mexico. VW just began production of its 2014 Golf and new lines of gasoline and diesel engines in Mexico, and makes the Jetta, its best-selling model in the U.S., in Mexico. Nissan Motor, Honda Motor and Mazda Motor all have opened factories there since November. General Motors, Ford Motor and Chrysler Group long have operated large plants in Mexico and recently have invested in upgrades. The country's own auto market is small, about 1 million vehicles a year vs. roughly 16 million in the U.S. But it exports twice that many to Europe, Asia, South America and North America. Though a desirable place to build vehicles and from which to export them, it's not invulnerable. GM's Cadillac brand announced today it will quit making its popular SRX SUV in Mexico and move production to Spring Hill, Tenn., next year in time to begin manufacturing the redesigned 2017 Cadillac SRX. It's due in showrooms early in 2016.